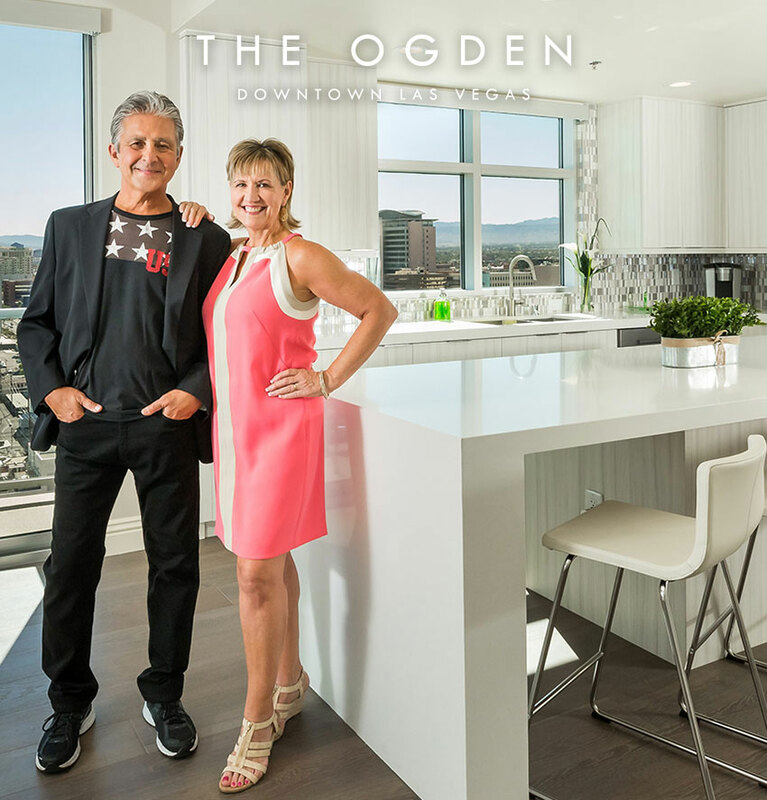 The Ogden, a 21-story high-rise condominium tower in the heart of downtown Las Vegas, is known for offering its residents luxury living, complete with beautifully appointed residences, spectacular views, first-class amenities and resident-only activities led by a dedicated lifestyle director. For the buyer looking for an even more upgraded home, The Ogden has a limited number of residences as part of its elite Premier Collection. Priced at $569,900, the 1,847-square-feet Cragin features three bedrooms, two balconies and 2½ baths, as well as a spacious kitchen. The guest bath offers dual sinks, and the master bedroom boasts a large walk-in closet. The layout of The Goodman, priced at $659,900 and spanning 2,044 square feet, lives like a ranch house in the sky with four bedrooms and 2½ baths. 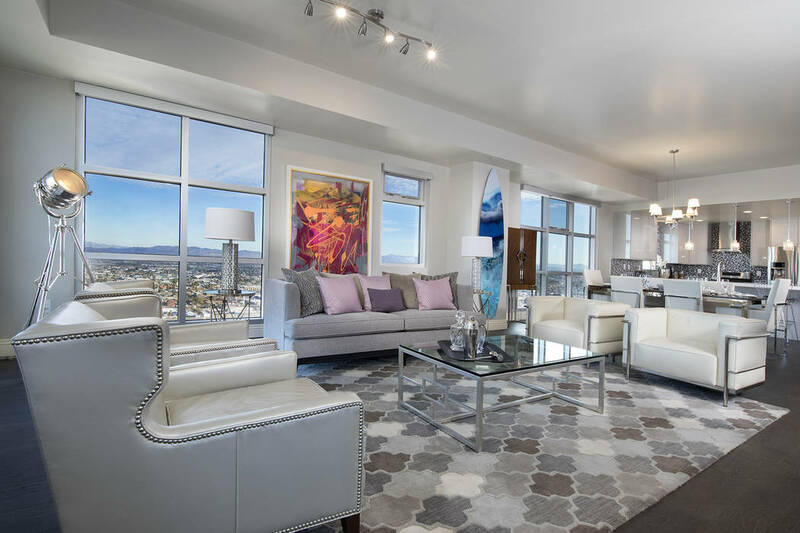 The floor plan includes two balconies offering Strip and downtown Las Vegas views, along with a spacious kitchen featuring a window over the kitchen sink with a Strip view. Available only on higher floors, The Goodman provides ample space to accommodate an in-home office, overnight guests and nonstop entertaining. All Premier Collection residences feature Daltile polished quartz kitchen and bath countertops, kitchen and bath cabinetry by Wellborn Cabinets, luxury hardwood and porcelain tile flooring by Mohawk and Whirlpool wine coolers. They are equipped with Samsung stainless steel kitchen appliances, including double-door ovens and Samsung’s new and innovative Family Hub refrigerator, featuring a touchscreen display that allows you to plan meals and create shopping lists, set food expiration notifications, coordinate family schedules, play music and watch TV. The Cragin and The Goodman also have floor-to-ceiling windows for abundant natural light, pendant lighting in the kitchen and baths, blackout shades on all bedroom windows and sun shades on all living area windows. All Ogden residents enjoy the benefit of round-the-clock concierge service. The friendly and knowledgeable concierge team is happy to take care of errands, including dropping off and picking up residents’ dry cleaning, flower and gift ordering, making dinner reservations, booking nightlife accommodations and booking show tickets. Other amenities include 24-hour security, fitness center, rooftop pool, Sky Deck, social lounge and a social calendar full of resident mixers, from cocktail and movie outings to brunches and paint nights.